I’m thrilled to have some great reviews coming through for Rat City. Read Dinah’s full review of Rat City. Read Dee’s full review of Rat City. Read Daan’s full review of Rat City. 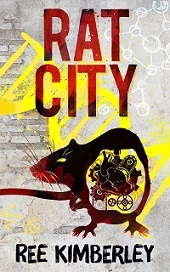 Read Joelene’s full review of Rat City. There are also a few great reviews on Amazon and Goodreads. A big thank you to everyone who has taken the time to write a review. I really appreciate it!